This chart shows various print and web deliverables and their interdependencies to one another. It helps clients and designers understand the overall scope of the project and adds clarifying details. For this project I started with a creative brief which lead to this wireframe. The wireframe is intended to block out the overall content that was to be included in the brochure. 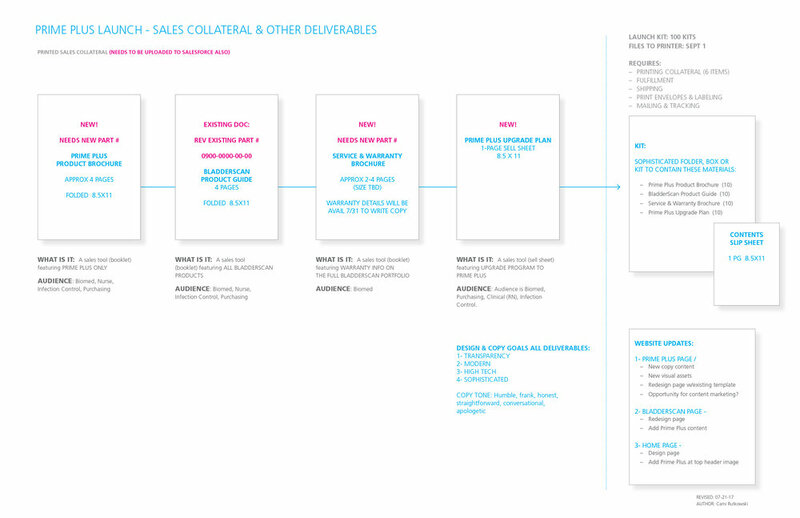 This chart shows the various deliverables and their relationship to one another. It's a wholistic approach to design planning. A visual flow chart for a health plan outreach campaign. Includes mailing, email campaign and social media.